When you are ready to purchase your next vehicle, there are so many choices to make! One very important choice is whether to lease or finance the vehicle. Both are great options so there is no wrong answer. However, for some people one works better than the other. When you finance your vehicle, it is officially yours after you make all of the payments! You have built equity in it with each payment you have made. In addition, you can drive as far as you need to without mileage restrictions and can make modifications to the vehicle as needed. Unfortunately, the vehicle often loses value after purchase so for a time you might owe more than the value. Also, often times you will need a down payment or trade-in for your vehicle purchase. Leasing is a perfect option for someone who likes to have a new car often. You can pick the lease term that corresponds to the length of time you like to drive the same vehicle! Often the monthly payments are lower with leasing and you don’t usually need a large down payment. Of course, at the end of the lease the vehicle is not yours to keep. Therefore, with all of your payments you are not building equity is something that will be yours. In addition, you should not make modifications to a leased vehicle and there are almost always mileage limits on a lease. The choice is yours! 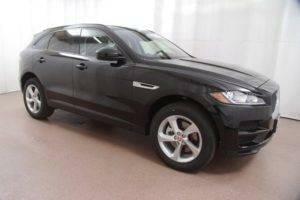 Jaguar Colorado Springs has both amazing lease deals and financing for our Jaguar vehicles. Let our finance experts help you figure out the best option for your situation!